The National Football League, or NFL, as it is commonly called, is one of the most popular sports leagues in North America. In this league, 32 teams of American football, a sport originating from rugby and which is very different from original European football, participate. The people of the United States and Canada are huge followers of this sport, and hence the NFL. They love to watch the young and talented players represent different cities and give great performances while keeping the audience members glued to an adrenaline-pumping game. The teams have great fan-following, and they bring in the top players to ensure that the fans are not disappointed. NFL is one of the richest leagues, and the teams and their players earn big bucks. Let’s take a look at the Top 10 Most Valuable Teams in NFL. Baltimore Ravens American football team of the National Football League has a current total team value worth $1.50 billion as of 2015 American football season, and is inducted in the ninth place in our list of top 10 most valuable teams in NFL. The American football team has generated a marvelous revenue of nearly $304 million in the last season in the NFL. Baltimore Ravens also had an operating income worth nearly $57 million as of 2013-14 season of American football. The team recently signed a 10-year extension with M&T Bank for its stadium naming rights sponsorship in may last season which will run through the 2027 American football season. 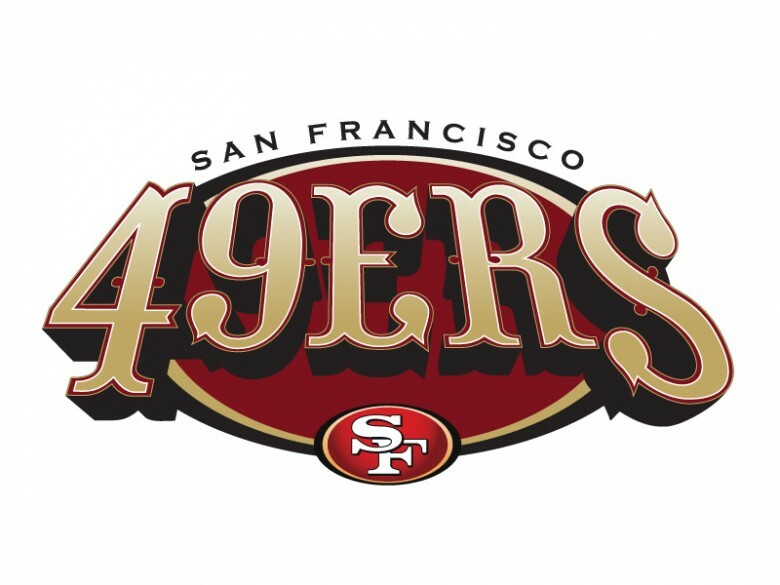 San Francisco 49ers American football team of the National Football League has a current total team value worth $1.60 billion as of 2015 American football season, and is inducted in the ninth place in our list of top 10 most valuable teams in NFL. The American football team has generated a marvelous revenue of nearly $270 million in the last season in the NFL. 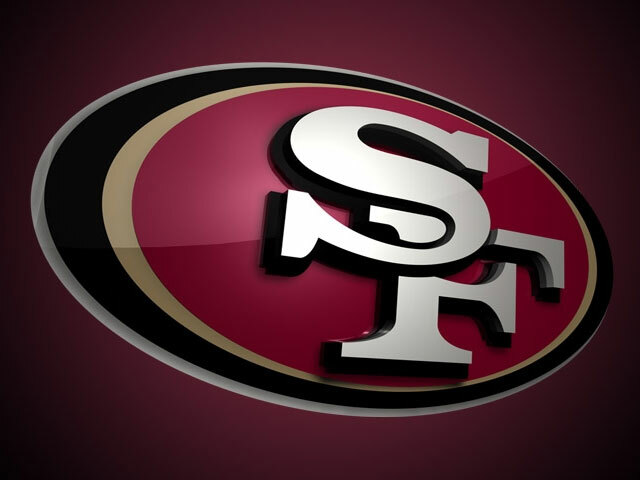 San Francisco 49ers also had an operating income worth nearly $25 million as of 2013-14 season of American football. The team recently inaugurated their new 68,500-seater privately financed Levi’s Stadium in Santa Clara. The stadium will host the Super Bowl 50 in February 2016. 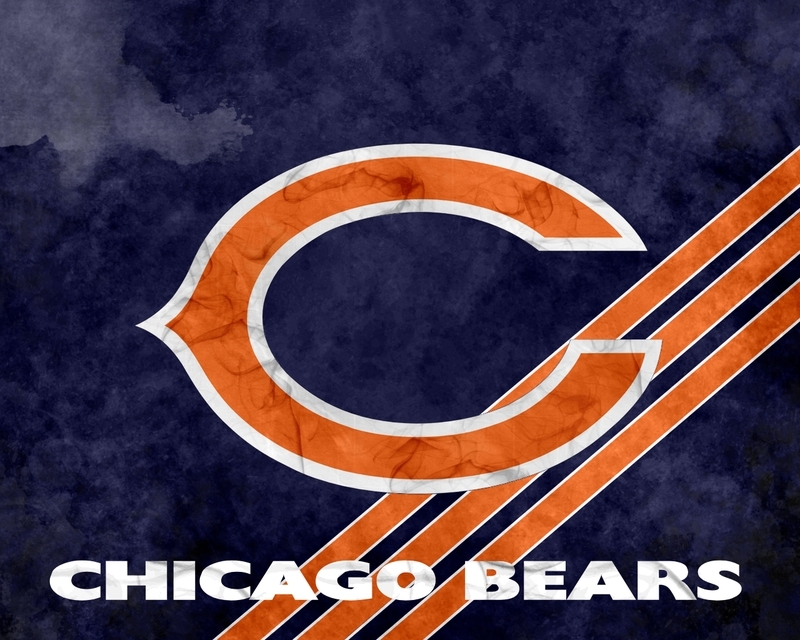 Chicago Bears American football team of the National Football League has a current total team value worth $1.70 billion as of 2015 American football season, and is inducted in the eighth place in our list of top 10 most valuable teams in NFL. The American football team has generated a marvelous revenue of nearly $309 million in the last season in the NFL. 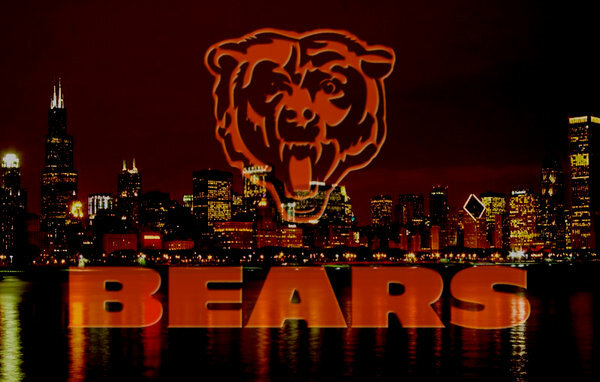 Chicago Bears also had an operating income worth nearly $57 million as of 2013-14 season of American football. The team finished at 8-8 in the 2013 season and missed the playoffs for the third consecutive year. They recently missed it under the new head coach Marc Trestman who came in place of Lovie Smith. 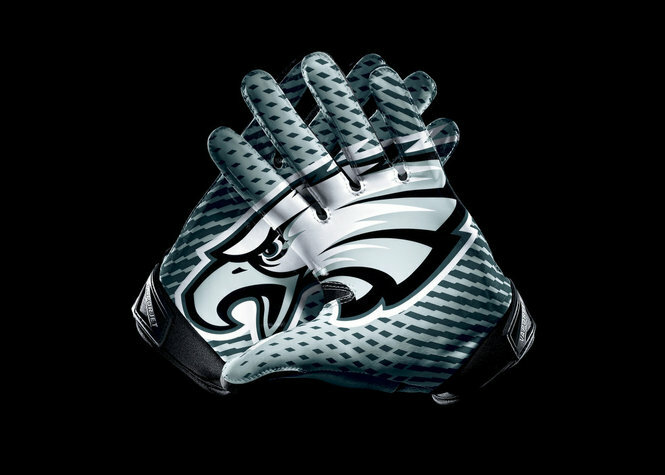 Philadelphia Eagles American football team of the National Football League has a current total team value worth $1.75 billion as of 2015 American football season, and is inducted in the seventh place in our list of top 10 most valuable teams in NFL. The American football team has generated a marvelous revenue of nearly $330 million in the last season in the NFL. Philadelphia Eagles also had an operating income worth nearly $73 million as of 2013-14 season of American football. The team recently appointed former University of Oregon head coach Chip Kelly who replaced long-time coach Andy Reid for the 2013 American football season. He also led the team to achieve the top spot in the NFC East. 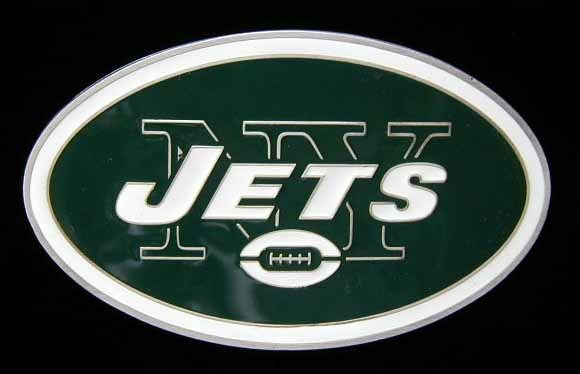 New York Jets American football team of the National Football League has a current total team value worth $1.80 billion as of 2015 American football season, and is inducted in the sixth place in our list of top 10 most valuable teams in NFL. The American football team has generated a marvelous revenue of nearly $333 million in the last season in the NFL. The New York Jets also had an operating income worth nearly $80 million as of 2013-14 season of American football. Moody’s Investors Service recently assigned a $255 million of stadium project revenue bonds and $297 million of parity debt to the team which will be used to fund the New York Jets’ portion of MetLife Stadium. 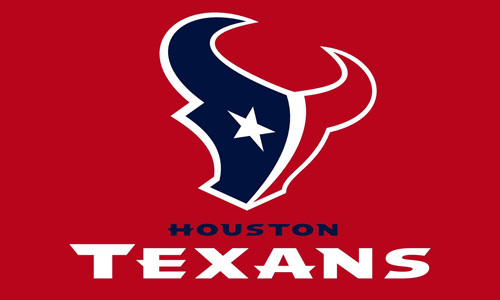 Houston Texans American football team of the National Football League has a current total team value worth $1.85 billion as of 2015 American football season, and is inducted in the fifth place in our list of top 10 most valuable teams in NFL. The American football team has generated a marvelous revenue of nearly $339 million in the last season in the NFL. Houston Texans also had an operating income worth nearly $103 million as of 2013-14 season of American football. The team’s home ground was re-branded as NRG Stadium this season after the owner company Reliant Energy, a Texas-based electricity retailer, had its own name on the building. 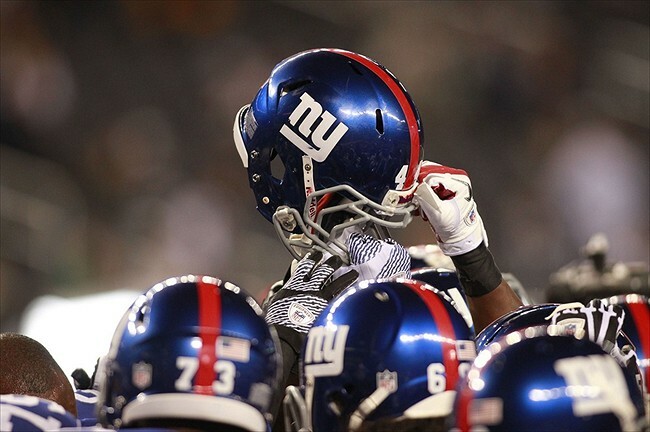 New York Giants American football team in the National Football League has a current total team value worth $2.1 billion as of 2015 American football season, and is inducted in the fourth place in our list of top 10 most valuable teams in NFL. The American football team has generated a marvelous revenue of nearly $353 million in the last season in the NFL. 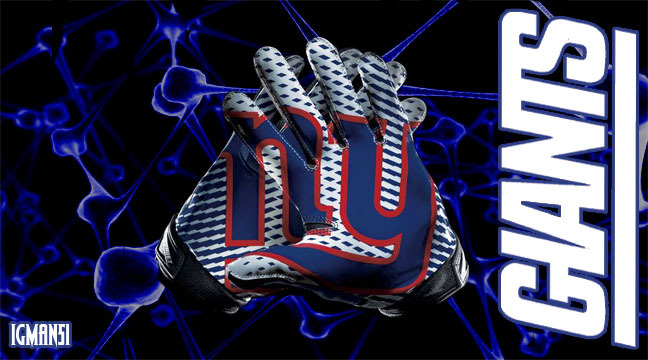 New York Giants also had an operating income worth nearly $87 million as of 2013-14 season of American football. The team currently pays an annual stadium debt of $40 million. Irrespective of that huge debt, the Giants still maintain their huge earnings since the new MetLife Stadium opened in 2010. Washington Redskins American football team of the National Football League has a current total team value worth $2.4 billion as of 2015 American football season, and is inducted in the third place in our list of top 10 most valuable teams in NFL. The American football team has generated a marvelous revenue of nearly $395 million in the last season in the NFL. 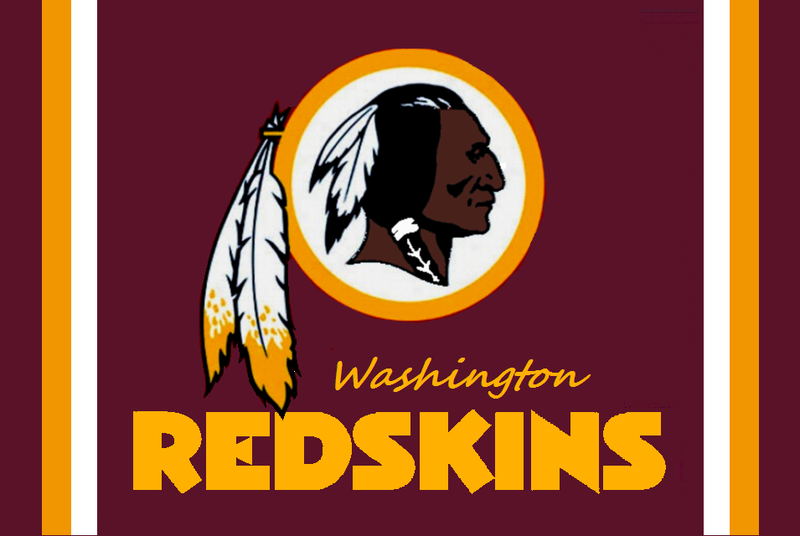 Washington Redskins also had an operating income worth nearly $143 million as of 2013-14 season of American football. The team had a terrible record of 3-13 in the 2013 season due to the injury of their QB Robert Griffin III and also as they fired coach Mike Shanahan after four years and one playoff. 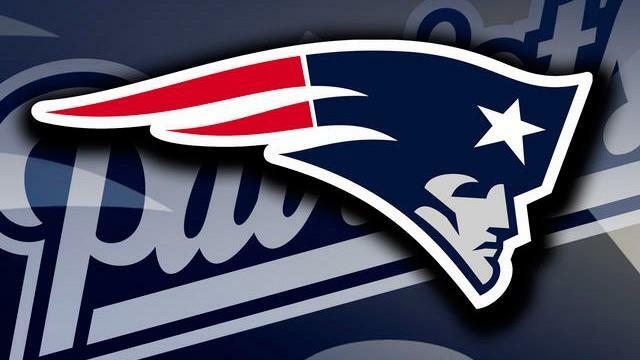 New England Patriots American football team of the National Football League has a current total team value worth $2.6 billion as of 2015 American football season, and is inducted in the second place in our list of top 10 most valuable teams in NFL. The American football team has generated a marvelous revenue of nearly $428 million in the last season in the NFL. 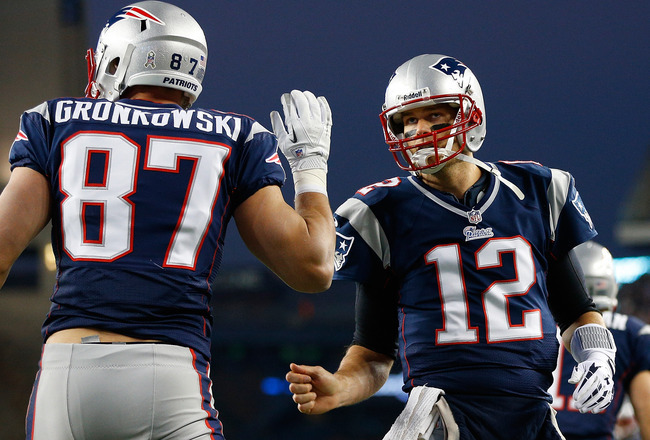 New England Patriots also had an operating income worth nearly $147 million as of 2013-14 season of American football. The team has a property of Patriot Place adjacent to the Gillette Stadium which featured over 1.3 million square feet of shopping, dining, and entertainment. The area has Old Navy, Victoria’s Secret and the region’s only Bass Pro Shops inside. 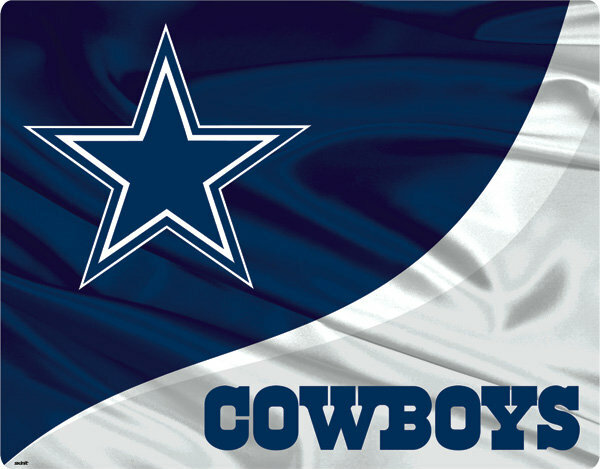 Dallas Cowboys American football team of the National Football League has a current total team value worth $3.2 billion as of 2015 American football season, and is inducted in the top place in our list of top 10 most valuable teams in NFL. The American football team has generated a marvelous revenue of nearly $560 million in the last season in the NFL. 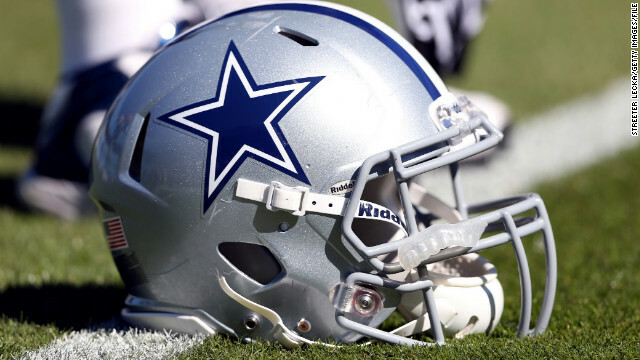 Dallas Cowboys also had an operating income worth nearly $246 million as of 2013-14 season of American football. The team recently signed sponsorship contracts with global brands such as watchmaker Hublot and Carnival Cruise Lines which will earn them several million dollars in revenue over the next five years. While the teams make big sums of money from tickets, sponsorships, etc., there is only one thing that the fans care about: the performances of the players and good games to watch. The loyal fans wait to see talented players make historic moments in front of their eyes, and make their teams proud, as they witness some great goals and take home great memories. 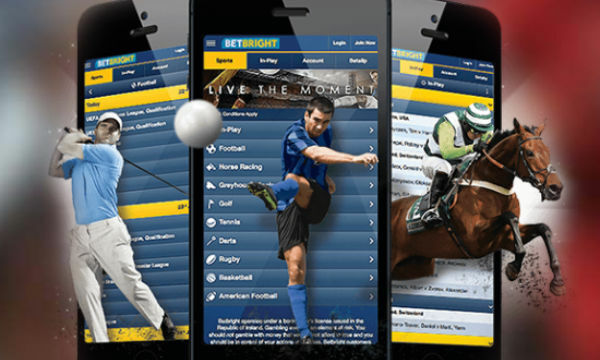 Europe is a continent of many different kinds of sports and tournaments. Starting from being the inventor of the classy sport of cricket to being the masters of soccer, from being the breeding ground of well-known hockey players, to being the homeland of top track runners, sports of various kinds are played, and loved by almost all the countries of Europe, all pursued with great fervour, and the people of all major sports nations are the world’s greatest football fans. They ensure that their teams receive all the moral boosting they can get, by being present in the stadiums during the games. Of course, the stadiums are built in such a way that they can accommodate the maximum number of football fans as possible. 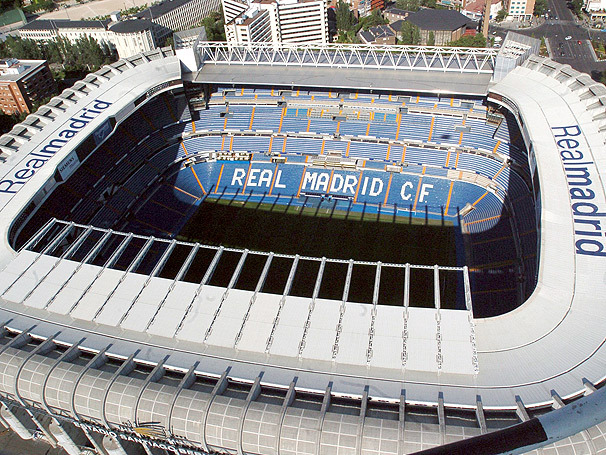 Let’s take a look at the 10 Largest Stadiums in Europe in Terms of Accommodation. 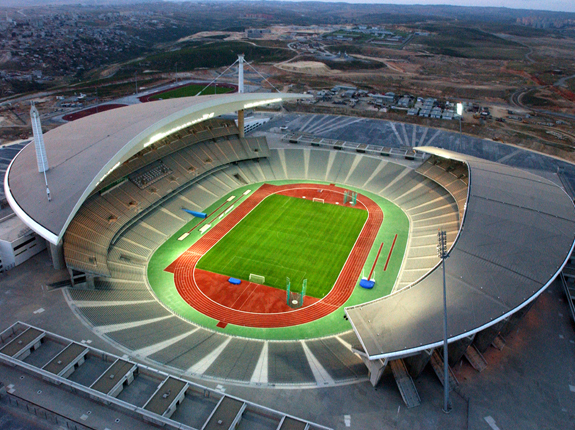 Atatürk Olympic Stadium, in the İkitelli district near Istanbul, Turkey, is the largest-capacity stadium in Turkey. With a capacity of 76,092 since 2005, it is inducted in the 10th place in our list of the 10 Largest Stadiums in Europe in Terms of Accommodation. Its construction was started in 1999 and finished in 2002. It took 140 million USD to build the stadium. With a 5-star sports complex title, it has hosted the 2005 UEFA Champions League Final played between Liverpool and Milan. With a certification as a first-class venue for track and field, it has hosted several European athletic competitions, except the Olympics, though it was originally conceived for the 2008 Olympic Games bid which the city lost. It has two steel roofs and a glass surface. Its 134 entrances and 148 exit gates allow 80000 people to evacuate in 7.5 minutes. 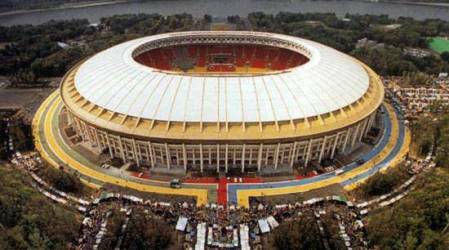 The Luzhniki Stadium, in Khamovniki District of the Central Administrative Okrug in Moscow, Russia, is one of the major stadiums of Europe. With a current seating capacity of 78,360, it is inducted in the 9th place in our list of the 10 Largest Stadiums in Europe in Terms of Accommodation. Its construction was done in 1955-56 and was officially opened in 1956 as the Central Lenin Stadium, the bational stadium of the Soviet Union, and is now the national stadium of Russia. It is mainly a football ground. It is noted for hosting important events, the chief ones of them being the 980 Summer Olympics, where the spectator capacity was 103,000, as well as 1999 EUFA Cup Final, 2008 UEFA Champions League Final, etc. Keeping in mind the harsh winters, the stadium uses artificial pitch. San Siro, or Stadio Giuseppe Meazza, in San Siro district near Milan, Italy, is home to AC Milan and FC Internazionale Milano. With a capacity of 80,018 since 2011, it is inducted in the 8th place in our list of the 10 Largest Stadiums in Europe in Terms of Accommodation. Its construction was started in 1925 and inaugurated in 1926. It has been renovated several times, increasing its capacity from 26000 to where it is today. Initially started as a private venue for only football, the renovations added features for the stadium to host other sports, as well, such as rugby, and boxing, and even for music concerts. It enjoyed the the UEFA five-star stadium status, which was superseded. It has a distinctive protruding red girders and a Desso GlassMaster surface. 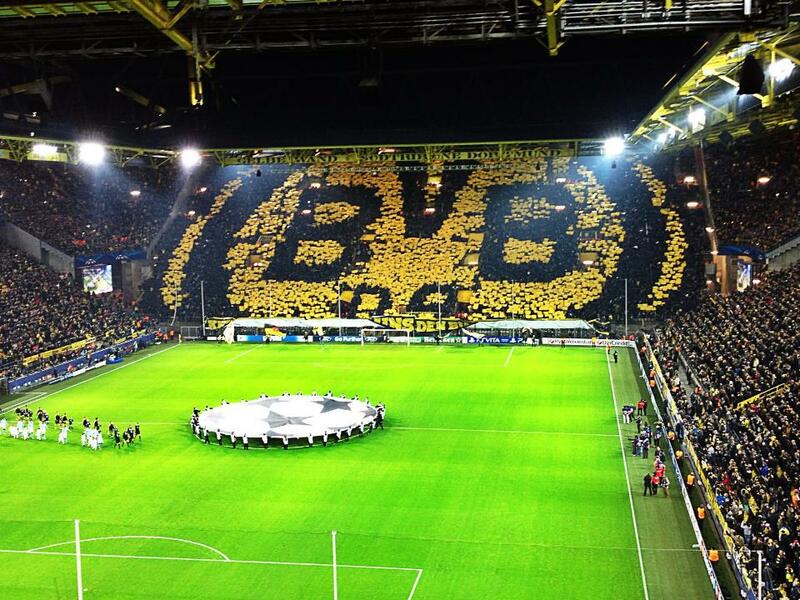 Westfalenstadion in Dortmund, North Rhine-Westphalia in Germany is an association football stadium which is home to Borussa Dortmund football team. It is the biggest stadium in Germany. With a capacity of 81,264 since 2012 in League matches, and 65,590 in International matches, it is inducted in the 7th place in our list of the 10 Largest Stadiums in Europe in Terms of Accommodation. Its construction was started in 1971 and cost approximately $18 million. It has a record of the attendance of 1.37 million spectators, as it broke its own record which it set in 2004-2005 season. The stadium’s South Bank is the largest extant terrace for standing spectators in European soccer, and is noted for the intensity that it breeds in its atmosphere, due to which it is nicknamed Yellow Wall. It has hosted important events like matches of the 1974 and 2006 FIFA World Cups, 2001 UEFA Cup Final, etc. Stade de France, in France, near Paris in the commune of Saint-Denis, is an all-seater stadium, and is home to the French national teams of both rugby as well as football. With a capacity of 81,228, it is inducted in the 6th place in our list of the 10 Largest Stadiums in Europe in Terms of Accommodation. It was constructed for the 1998 FIFA World Cup, and is a category four stadium as listed by UEFA, noted for hosting some of the greatest events and matches. Matches of the 1998 FIFA World Cup, 1999 Rugby World Cup, 2003 World Championships in Athletics and 2007 Rugby World Cup. In fact, it is the only stadium in the world which has hosted the World Cup tournaments of both football as well as rugby. It also hosted the UEFA Champions League finals in 2000 and 2006, Race of Champions auto race in 2004-2006, the 2003 World Championships in Athletics, and the annual Meeting Areva athletics meet since 1999. 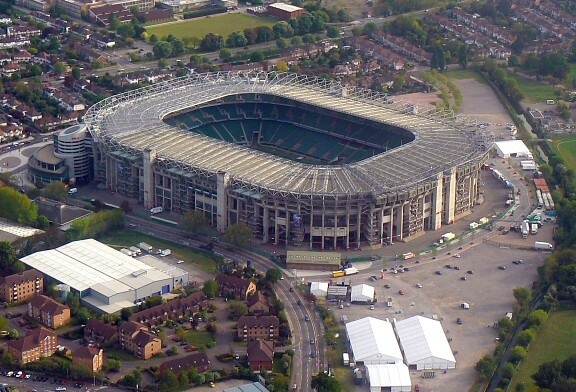 Twickenham Stadium, in Twickenham Stadium, in the London Borough of Richmond upon Thames, UK, is the largest of stadiums that are dedicated to rugby union, and is the 2ns largest in the UK. With a capacity of 82,000, it is inducted in the 5th place in our list of the 10 Largest Stadiums in Europe in Terms of Accommodation. It is home to the Rugby Football Union, and is noted for hosting the home test matches of the English national rugby team. It also hosts the matches of Middlesex Sevens, the Aviva premiership final, LV Cup, Heineken Cup matches and the home matches of Barbarian FC. It is an iconic rugby stadium, and has also hosted a number of concerts, with stars like Bryan Adams, Bon Jovi, The Rolling Stones, etc., performing there. 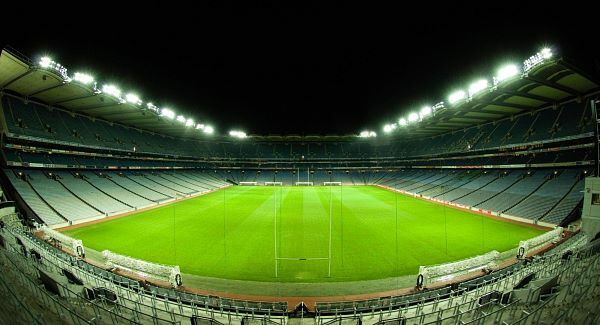 Croke Park, in Dublin, Ireland, is the principal stadium and headquarters of the Gaelic Athletic Association. It is the largest of stadiums that are not usually used for association football. With a capacity of 82,300, it is inducted in the 4th place in our list of the 10 Largest Stadiums in Europe in Terms of Accommodation. It is most noted for hosting the All-Ireland finals in football and hurling. The opening and closing ceremonies of the 2003 Special Olympics was hosted by this stadium, and so was the closing ceremony of the 50th International Eucharistic Congress, where Pope Benedict XVI addressed about 80,000 people over a video link. It has a Hall of Fame, opened in 2013, in the museum section, and it has been decided that the new inductees will be chosen in 5-year intervals. The Santiago Bernabéu Stadium, on the Paseo de la Castellana in the district of Chamartín in Madrid, Spain, is considered as the most famous and prestigious soccer stadium in the world, and is the second largest Spanish stadium, as well as the second-largest one, which is home to a top-notch European club, i.e. 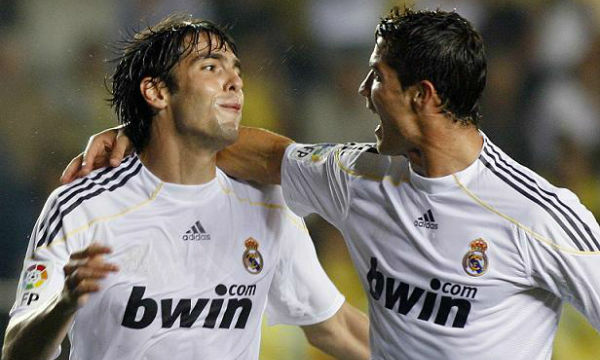 Real Madrid Club de Fútbol. With a capacity of 85,454, it is inducted in the 3rd place in our list of the 10 Largest Stadiums in Europe in Terms of Accommodation. This all-seater stadium was constructed in 1944-1947, and was inaugurated in the year 1947. 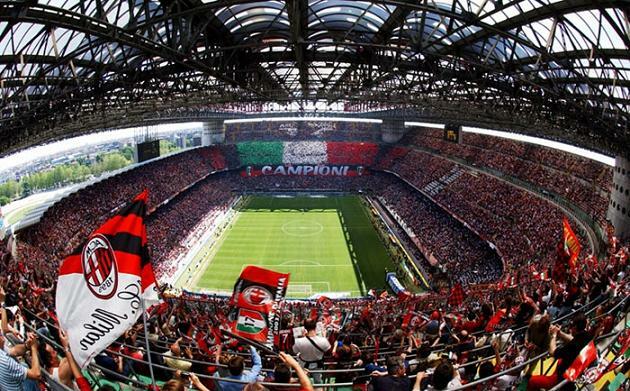 This stadium is one of the main attractions of Milan, and is the favourite choice for football fans to watch a good game. 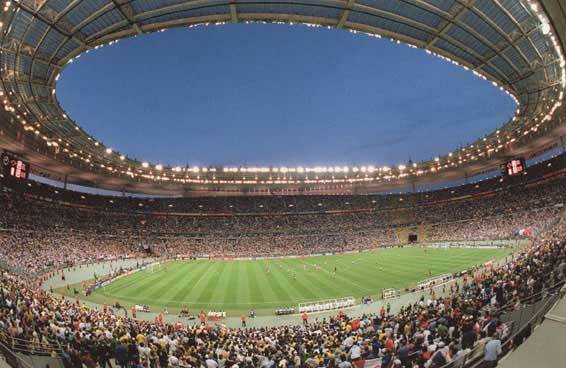 It is noted for hosting some of the biggest events like the EURO 1964, 1982 FIFA World Cup, etc. 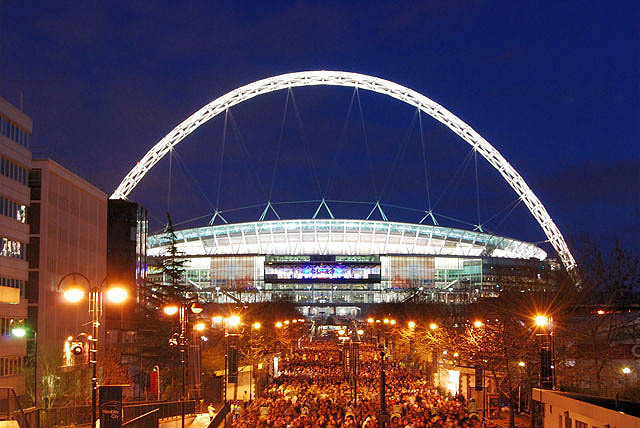 Wembley Stadium, in Wembley Park of London, England, is a well-known football stadium. With a capacity of 90,000, it is inducted in the 2th place in our list of the 10 Largest Stadiums in Europe in Terms of Accommodation, and is the largest stadium in the United Kingdom. It was opened in 2007, in the site of the original stadium after it had been demolished in 2003. One of the most prominent features of this stadium is its retractable roof and the Wembley Arch of 134 meters. 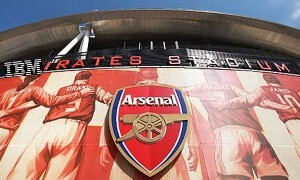 The construction of the stadium cost £798 million. The stadium is known for hosting the FA Cup Final, season-opening FA Shield, League Cup Final, Football League Trophy, and Football play-offs. It also hosted the UEFA Champions League Finals in 2011 and 2013, the gold medal matches of the 2012 Olympic Games football tournament, etc. Camp Nou, in Barcelona, Catalonia of Spain, is a football stadium, and has been home of Futbol Club Barcelona since 1957. 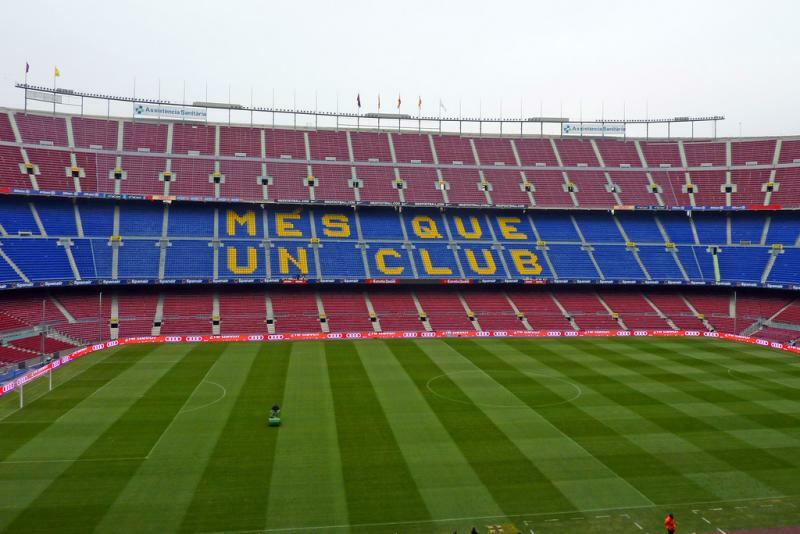 With a capacity of 99,354, it is inducted in the top place in our list of the 10 Largest Stadiums in Europe in Terms of Accommodation, and is the largest stadium in Spain, as well as the 4th largest stadium in the world. Its construction was started in 1954, before a crowd of 60,000 fans of Barcelona, and this is considered one of the most precious moments in soccer history. With the final cost being 288 million pesetas, the construction was 336% over the budget. The stadium is noted for hosting some of the most important and prestigious matches and tournaments, such as two UEFA Champions League finals, as well as the football competition at the 1992 Summer Olympics. As the athletes work hard to train themselves, and play a great game to make the nation proud, it is the people who take pride in the achievements of the players. The fans can make or break the morale of the players. Their presence in the stadiums makes a huge difference to the athletes, and the largest of stadiums are thus places that have seen some of the greatest moments, in sports history, in the presence of cheering fans. Athletes perform the best they can on the ground, to make the most memorable moments in the history of the respective sports. But, an important part of sports are the people who watch it, i.e. the fans. Sports fans are who complete a game and add life to the matches with their energy and cheers. Some fans can only afford to sit in front of the television sets and watch the matches. But some fans make it to the stadiums to watch the matches. They sit there in their jerseys and fan wigs, screaming and crying for their favourite players. Here is a list of the Top 10 Sports Leagues with Highest Average Attendance. Let’s take a look at these sports. 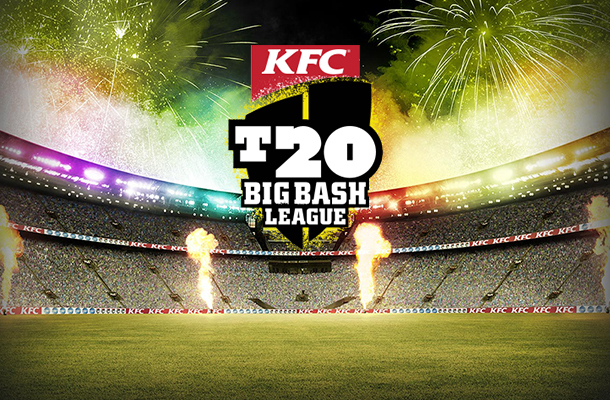 The Big Bash League was founded as the successor of the original KFC Twenty20 Big Bash. Unlike other club cricket tournaments, the league features city-based franchises instead of the state cricket teams. The champion and the runners-up qualify for the Champions League Twenty20 tournament. Big Bash League is the elite tournament of Cricket in Australia. 8 cricket teams currently participate in this sports league where a single season of Big Bash League consists of a total of 35 matches. Big Bash League witnessed a total attendance of 825,657 in 2014-15 season. According to the recent statistics, Big Bash League witnessed an average attendance of 23,590 in each of the matches in 2014 season and is inducted in the tenth place in our list of top 10 sports leagues with highest average attendance. Canadian football is actually a type of gridiron football which is closely associated with the American football. A typical season runs from June to early November each year for 20 weeks. The Canadian Football League is the elite tournament of Canadian football in Canada. 9 Canadian football teams currently participate in this sports league where a single season of the Canadian Football League consists of a total of 81 matches. 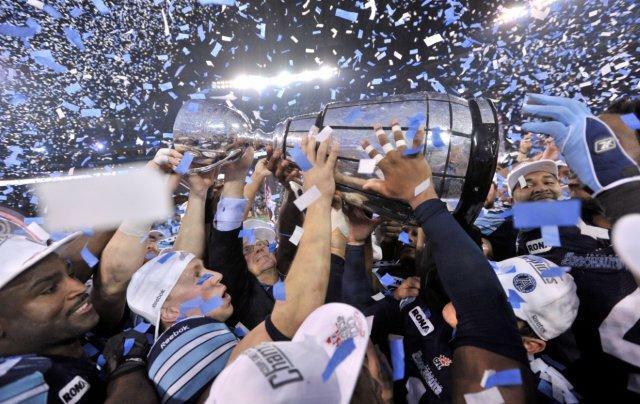 Canadian Football League witnessed a total attendance of 2,048,157 in 2014 season. According to the recent statistics, Canadian Football League witnessed an average attendance of 25,285 in each of the matches in 2013-14 season and is inducted in the ninth place in our list of top 10 sports leagues with highest average attendance. Nippon Professional Baseball was derived from the original Japanese Baseball League which was first started with the establishment of the “Greater Japan Tokyo Baseball Club” in 1934. Nippon Professional Baseball is the elite tournament of Baseball in Japan. 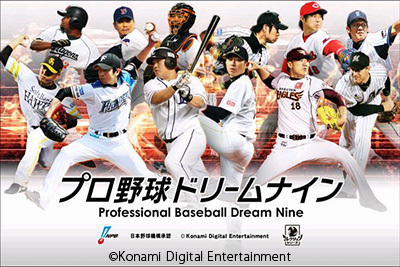 12 Baseball teams currently participate in this sports league where a single season of Nippon Professional Baseball consists of a total of 864 matches. Nippon Professional Baseball witnessed a total attendance of 22,859,351 in 2014 season. According to the recent statistics, Nippon Professional Baseball witnessed an average attendance of 26,457 in each of the matches in 2013-14 season and is inducted in the eighth place in our list of top 10 sports leagues with highest average attendance. The Indian Super League was established to provide international recognition to the Indian soccer players all over the globe in 2013. ISL, unlike other soccer leagues, does not use the promotion and relegation system, instead it uses a franchise system. Indian Super League is the elite tournament of Association football in India. A total of 8 Association football teams currently participate in this sports league where a single season of Indian Super League consists of a total of 61 matches. 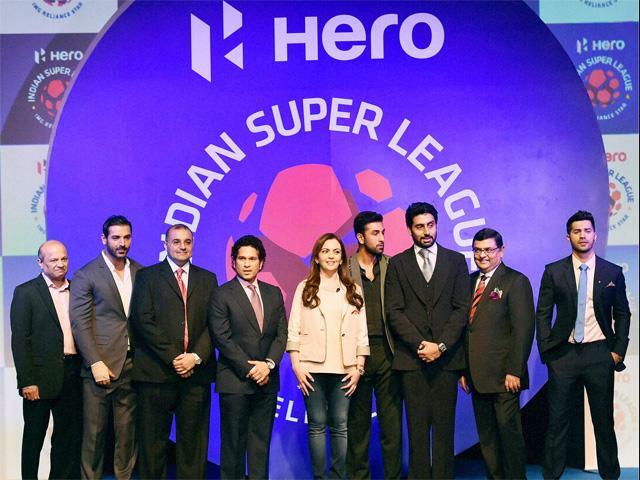 Indian Super League witnessed a total attendance of 1,590,292 in 2014 season. According to the recent statistics, Indian Super League witnessed an average attendance of 26,505 in each of the matches in 2013-14 season and is inducted in the seventh place in our list of top 10 sports leagues with highest average attendance. La Liga is the Primera División of the Liga Nacional de Fútbol Profesional, and is also known as Liga BBVA for its sponsorship collaboration. 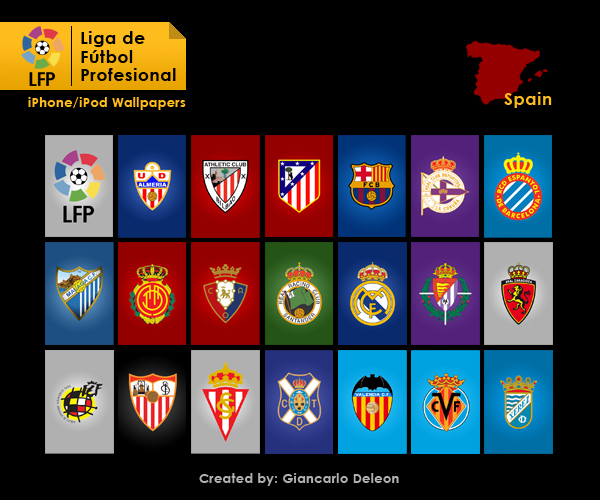 The La Liga typically operates on a system of promotion and relegation with the Segunda División. 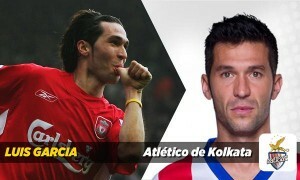 La Liga is the elite tournament of Association football in Spain. A total of 20 Association football teams currently participate in this sports league where a single season of La Liga consist a total of 380 matches. La Liga witnessed a total attendance of 10,242,900 in 2014 season. According to the recent statistics, La Liga witnessed an average attendance of 26,955 in each of the matches in 2013-14 season and is inducted in the sixth place in our list of top 10 sports leagues with highest average attendance. 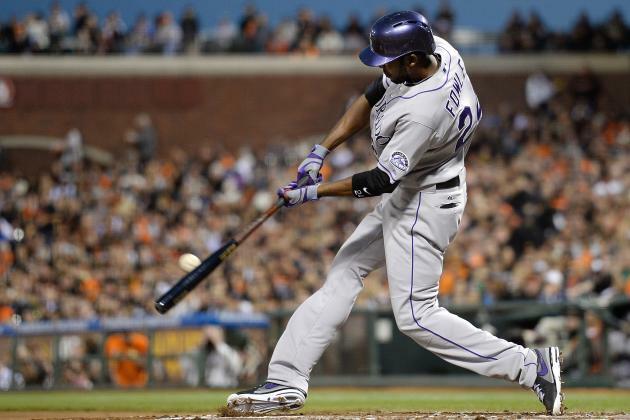 Five teams of both the conference in Major League Baseball culminate in the World Series after they advance to a four-round postseason tournament. A best-of-seven championship is also participated by both the conference champion of this league. Major League Baseball is the elite tournament of Baseball in the United States and Canada. 30 baseball teams currently participate in this sports league where a single season of Major League Baseball consists of a total of 2,426 matches. Major League Baseball witnessed a total attendance of 73,739,622 in 2014 season. According to the recent statistics, Major League Baseball witnessed an average attendance of 30,458 in each of the matches in 2013-14 season and is inducted in the fifth place in our list of top 10 sports leagues with highest average attendance. Australian Football League currently has teams from five states of Australia; each of the states other than one has at least 2 teams where Victoria has 10. AFL matches generally played in all mainland states of Australia and also in New Zealand. The Australian Football League is the elite tournament of Australian Rules football in Australia. 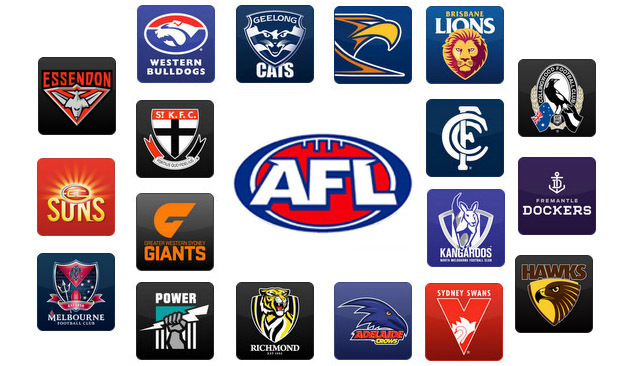 18 Australian football teams currently participate in this sports league where a single season of the Australian Football League consists of a total of 207 matches. Australian Football League witnessed a total attendance of 6,954,585 in 2014 season. According to the recent statistics, Australian Football League witnessed an average attendance of 33,598 in each of the matches in 2013-14 season and is inducted in the fourth place in our list of top 10 sports leagues with highest average attendance. The English Premier League typically operates on a system of promotion and relegation with the Football League. 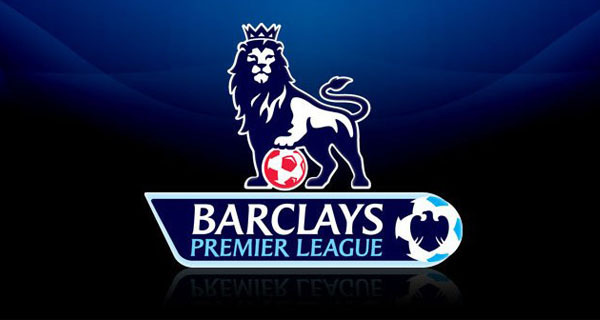 The league is also officially known as the Barclays Premier League due to its corporate sponsorship tie up with Barclays Bank. 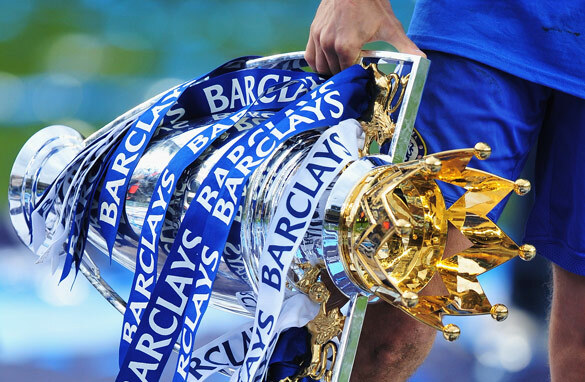 Premier League is the elite tournament of Association football in England and Wales. 20 Association football teams currently participate in this sports league where a single season of Premier League consists of a total of 380 matches. Premier League witnessed a total attendance of 13,929,810 in 2014 season. According to the recent statistics, Premier League witnessed an average attendance of 36,657 in each of the matches in 2013-14 season and is inducted in the third place in our list of top 10 sports leagues with highest average attendance. The Bundesliga typically operates on a system of promotion and relegation with the second most elite tournament in Germany 2. Bundesliga. A typical season runs from August to May each year where most of the matches are played on Saturdays and Sundays. 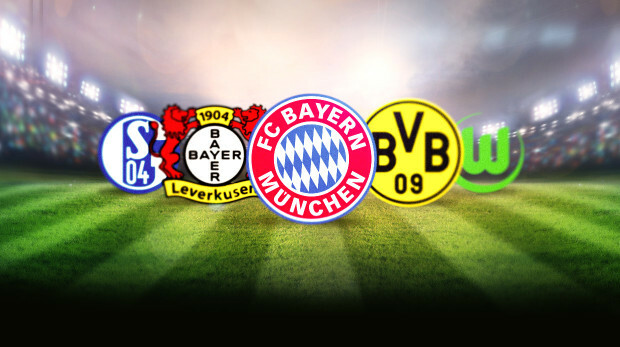 Bundesliga is the elite tournament of Association football in Germany. A total of 18 Association football teams currently participate in this sports league where a single season of Bundesliga consists of a total of 306 matches. Bundesliga witnessed a total attendance of 13,311,300 in 2014 season. According to the recent statistics, Bundesliga witnessed an average attendance of 43,501 in each of the matches in 2013-14 season and is inducted in the second place in our list of top 10 sports leagues with highest average attendance. The teams of the National Football League are equally divided between the National Football Conference and the American Football Conference. A single NFL season typically runs for 17 weeks starting from the week after Labor Day to the week after Christmas. National Football League is the elite tournament of American football in the United States. 32 American football teams currently participate in this sports league where a single season of NFL consists of a total of 256 matches. National Football League witnessed a total attendance of 17,606,643 in 2014 season. According to the recent statistics, NFL witnessed an average attendance of 68,776 in each of the matches in 2013-14 season and is inducted in the top place in our list of top 10 sports leagues with highest average attendance. Without sports fans, no match would be the same as they are. With their colours and placards, flags and horns, they add the element of fun and dedication in sports, and the athletes feel enthused to play well in their presence. The National Football League has millions of followers all the world over, and these people follow the sport. 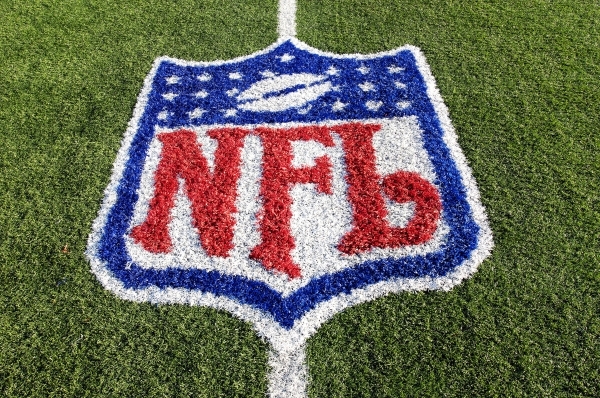 NFL itself is a huge organization, with thousands of people involved in its operations and functioning, as well as the games, including players, cheerleaders, coaches, managers, etc. 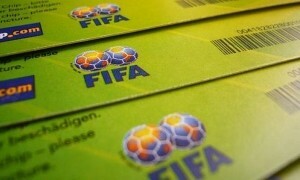 Transactions of millions take place through player transfers and purchases, sponsorships, etc. 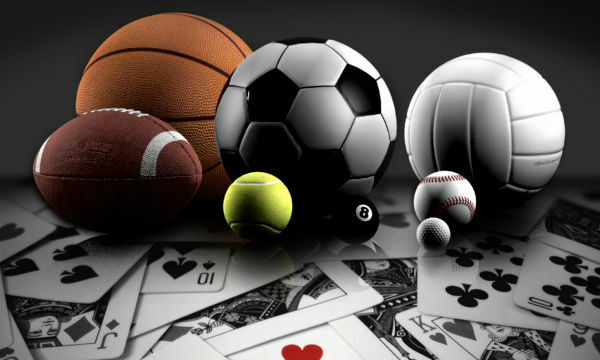 The teams and the players are extremely wealthy: among the wealthiest in the world. In fact, the NFL is not just a company: it is an industry in itself. However, when there is popularity, it is likely that there will also be rumors and scandals. 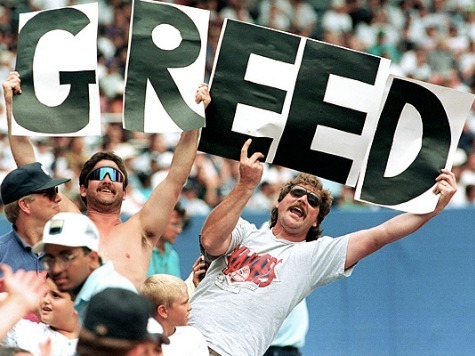 Let us take a look at 10 Horrible Controversies Regarding NFL. 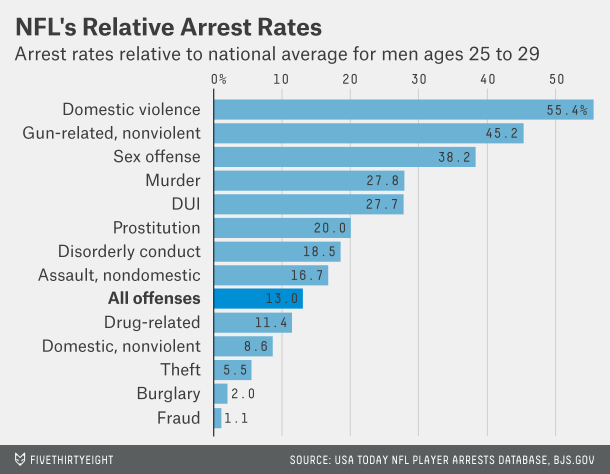 Several NFL players have been arrested with domestic violence charges. Yet, they are still active members of the NFL teams, for instance, Tony McDaniel and Kevin Williams of the Seattle Seahawks. But these men managed to plead their charges down to disorderly conduct, and walked off with probation. Even when McDaniel had his girlfriend’s head hit against the pavement when he shoved her, he was merely suspended for one game. Former Chicago Bears general manager Jerry Angelo said that he had seen “hundreds and hundreds” of domestic violence cases being brushed under the rug during his time in the league. NFL continues to let players like Ray Rice play on, even before their charges of violence against wives or girlfriends are dropped, paying no heed to the serious issue. 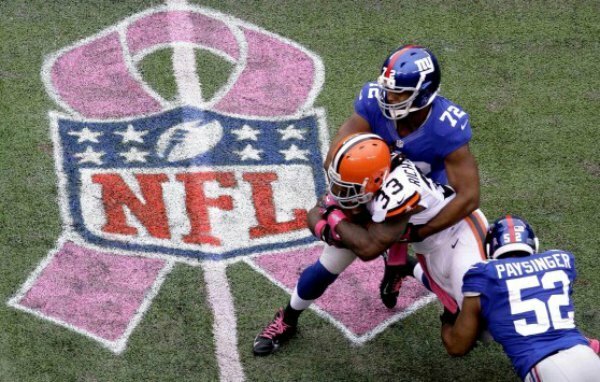 Every year, the NFL partakes in spreading breast cancer awareness, with pink shoes and pink gloves, and sells pink NFL memorabilia. However, only 8 percent of the money it raises in this manner actually go to breast cancer research. Apparently, for every $100 raised from the merchandise, $50 goes to retailers, $37.50 goes to the manufacturer, $1.25 is taken by the NFL, and the remaining is donated to the American Cancer Society. Even the society is considered more a bureaucracy than an effective funder of cancer research, and its CEO, John Seffrin, got a compensation of $832,000 for 2014. It receives $11.25 from the NFL, but only $8.01 goes to cancer research. It is a pertinent question why such little goes to effective cancer research, of money raised specifically for the purpose. The NFL Makes $10 Billion Per Year. However, it pays $0 in taxes. It has no problem in over-paying the executives, like NFL commissioner Roger Goodell, whose 2012 salary was revealed to be $44 million. While the NFL is no charity that can take donations, it classifies itself a non-profit “trade association,” and is financed by 32 privately-owned, for-profit member teams (except the Green Bay Packers). 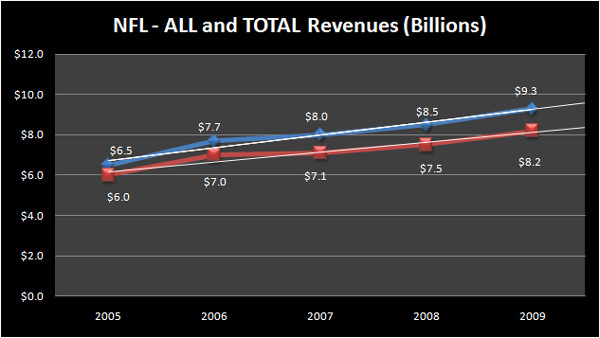 The NFL’s operations are solely for the profit of the member teams that earn $10 billion each year. It also gets the same tax exemption like churches and social justice organizations who try to make contributions to the community. However, the NFL is not the only one. Tax exemptions is something that the National Basketball Association also gets away with, despite the large earnings. 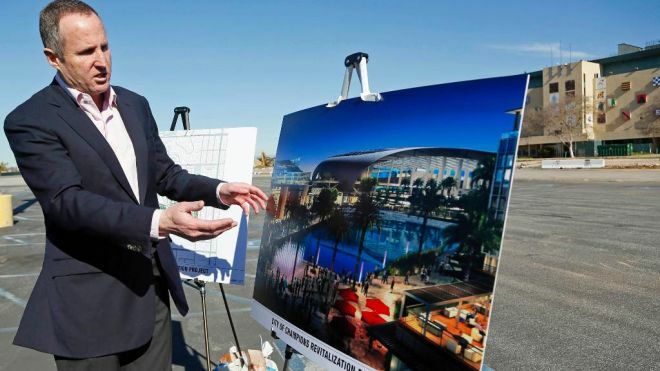 NFL stadiums are financed with the money of taxpayers, and in billions. Jerry Jones, the owner of the Dallas Cowboys, wanted to construct a $1.2 billion stadium in Arlington, Texas. Despite being worth $4.2 billion, he asked taxpayers to front $325 million. While new stadiums may provide additional economic benefits to the city, this benefit is not enough to invest such a huge sum, instead of using the money to build schools, hospitals, etc. Author Gregg Easterbrook presents this argument in his book, and he also points out that 70 percent of the cost of building the stadiums, summing up to billions of dollars, comes from the money of the local taxpayers, even though the teams are owned by billionaires. The tax money which is paid by the general public for tangible benefits, is wasted. The cheerleaders for the NFL, who are a huge part of the entertainment quotient of the sport, are entitled to a meagre payment of only $3 an hour. If compared, this earning is even less than what the minimum wage earners get in Slovakia. For instance, the Cincinnati Bengals, whose owner has a net worth of $924 million, used to pay their cheerleader, Alexa Brenneman, just $2.85 an hour, and that too for the 300 hours of work she put in, during over half a year. Despite the ludicrous payments to the players and team owners, the cheerleaders end up with low pay and seasonal gigs. While many don’t mind working in this way as a hobby, Lacy T., a former Oakland Raiders cheerleader, went ahead to sue her former employer for paying her $5 less than the minimum wage in the state, with the Bengals cheerleaders joining her lawsuit, as she argued that she even had to fund her own travel and cosmetics. We have already established that the NFL has huge earnings and funds. In fact, we know that the players of NFL are among the highest earning athletes in the world. Yet, almost 80% of the former NFL players suffer from financial distress, as per Sports Illustrated in 2009, which reported that they are either bankrupt, or they exhaust their earnings within just about two years of retiring. Names that come up in this regard are Lawrence Taylor, Terrell Owens, Vince Young and Michael Vick, and these players only make up a small fraction of the large number of players with similar conditions, due to poor investment choices, addictions, supporting entourages, gambling, domestic violence and divorce, etc. Though the NFL holds workshops to educate rookies, it does nothing to care for former players. It even pays no heed to disability benefits. Interestingly, there are no female players, coaches, referees, or even desk commentators in the NFL. When it comes to real action on the field, the NFL has little place for women. The only examples of women in the NFL are when side-line reporters like Michelle Tafoya and Erin Andrews, who are seen during postseason games in mid-winter, as they stand for hours, while their male colleagues sit in heated rooms for the halftime panel discussions with no female panellists. They do not consider women capable of playing alongside men. Notable female players are Julie Harshbarger and Jennifer Welter, playing in the Continental Indoor Football League. Knengi Martin and Natalie Randolph were the only two notable names in high school coaching. The patriarchy is quite starkly visible. Apparently, t is not just women, but members of the LGBT community, too, who do not find a place in the NFL, because it has no openly gay players. Apparently, it does not allow the members to have much of a voice. 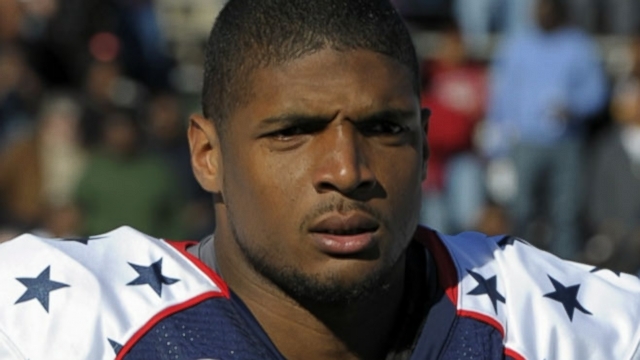 When Michael Sam, a star defensive player from the University of Missouri, came out as gay and kissed his boyfriend, after being announced as the Southeastern Conference’s Defensive Player of the Year and by the Saint Louis Rams in the NFL draft, he was traded to the Dallas Cowboys, who cut him, as well, despite his excellent pre-season performance. Former Minnesota Vikings punter Chris Kluwe’s support for LGBT acceptance was silenced many times, too. 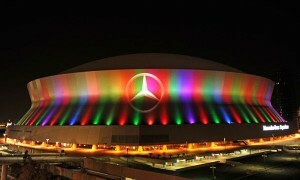 It is not likely that the NFL will start to deviate from its LGBT-shunning ways, any time in the near future. A number of deaths and suicides of NFL players have taken place over time which are attributed to brain damage of the players. 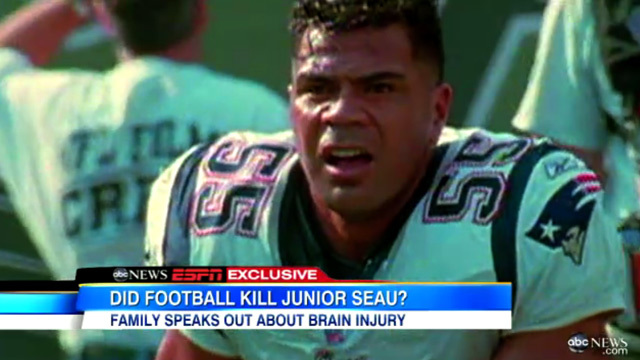 Some of the deaths associated with the NFL include that of Dave Duerson, or the suicide of Junior Seau. The NFL had made an uncomfortable acknowledgement that these are associated with chronic traumatic encephalopathy (CTE) which result from repeated concussions. For a long time, it was not a real issue for the NFL, who tried to portray it as a media-created controversy, until in 1994, former NFL Commissioner Paul Tagliabue created the Mild Traumatic Brain Injury Committee to publish investigations in this regard. The actively underplays the brain damaged players. Connections between CTE and professional football have been established. But there is hardly any initiative. As such, NFL has no program for the testing of Human Growth Hormone in the players. The NFL and their Players Association do not see eye to eye on the important issue of performance enhancing drug policy. As a result, the league has no testing program for the banned substance of Human Growth Hormone. The deadlock discusses the functioning of the appeals process, for those players who probably did not test positive for the banned substance, but were incriminated in HIG-arrests, or in scandals of the same nature as the Biogenesis clinic crisis, which rocked the Major League Baseball, exposing high-profile players like Alex Rodriguez. NFL Commissioner Roger Goodell wants to gain the authority for these appeals, but the players demand an independent arbitrator. The two sides are locking horns over this matter, and even the government is threatening to intervene. Scandals rumours and controversies, by their very nature, are often difficult to be verified by the common people. While some sources try to thwart these scandals with rationalizations, many other sources vouch for these as the truth and produce ample proofs, in the midst of people enraged to see such information out and about in the market. American Football was first played back in the year 1869. At that time, it had 25 players in each team. Over the years, the game has changed immensely from what it used to be in the 19th century. Several prestigious tournaments have emerged, and these tournaments recognize the teams that work hard to emerge as the most skillful. Some of these teams have been formed decades ago. But, what makes these teams reach the position where they can be honored as dynasties is a combination of when they were formed, how many of the most honorable cups in the best tournaments they have lifted, and how many times they have been able to do so. Let us take a look at the Top 10 Professional Football Dynasties. 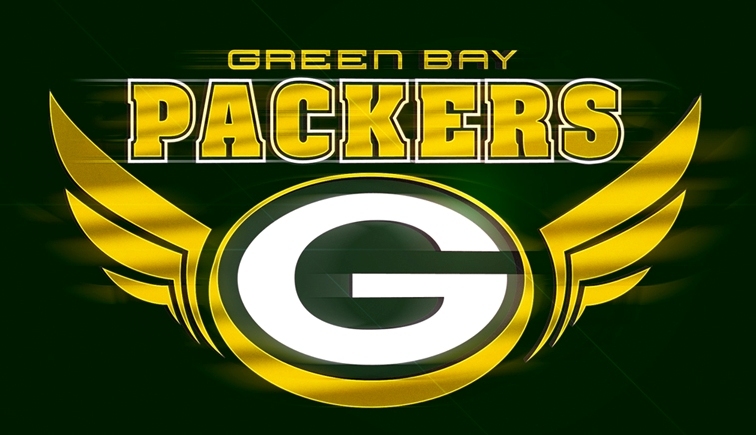 The Green Bay Packers are an American football team which is based in Green Bay of Wisconsin and are the members of the North division of the National Football Conference in the National Football League. The team began playing in the year 1919, after being founded by Earl “Curly” Lambeau and George Whitney Calhoun, with its lineage linked to other teams in Green Bay which were are old as 1896, and is the third oldest professional football franchise in the NFL, having joined the American Professional Football Association in 1921. It has won 13 league championships, including 11 NFL Championships in the years 1929-1931, 1936, 1939, 1944, 1961, 1962 and 1965-1967, as well as two AFL-NFL Super Bowl Championships in 1966 and 1967. It has 2 Super Bowl Championships in 1996 and 2010. It also has many conference and division championships under its belt. The Chicago Bears are an American football team which is based in Chicago of Illinois and are the members of the NFC North division of the National Football League. The team was founded as Decatur, Illinois in 1919, by George Halas, and later moved to Chicago in 1921. It is in fact one of the two surviving franchises from the founding of NFL. It holds the record for having the highest number of enshrines in the Pro Football Hall of Fame, as well as retired jerseys. It has won 9 league championships, including 8 NFL Championships in the years 1921, 1932, 1933, 1941, 1943, 1946 and 1963, as well as 1 Super Bowl Championship in 1985. With 26 playoff experiences in 96 years, it has also achieved victory in several Division and Conference championships. 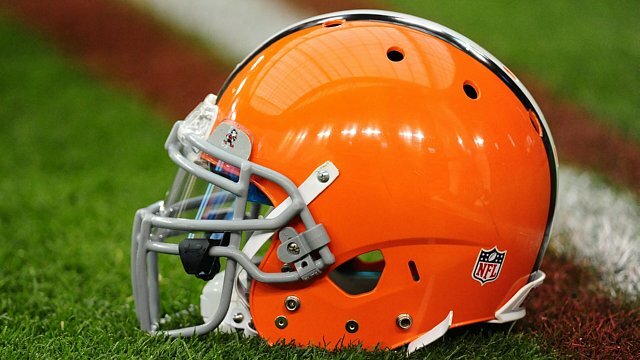 The Cleveland Browns are an American football team which is based in Cleveland of Ohio and are the members of the North division of the American Football Conference of the National Football League. The team was founded in 1945, by Arthur B. “Mickey” McBride and Paul Brown, and started playing since the following year. It was a dominating force in the All-American Football Conference, winning four championships from 1946 to 1949. It joined NFL when AAFC folded after the 1949 season. Apart from its successful AAFC track record, it has won 4 NFL Championships including its inaugural year 1950, as well as in the years 1954, 1955, and 1964. Since then during 28 playoff appearances, it has not been able to win any other big tournament, including the Super Bowls, but have had several Conference and Division championships. The Houston Oilers, now known as Tennessee Titans, are an American football team which is based in Houston of Texas and competed in the East Division of the American Football League before the merger, and then joined the AFC Central. The team began playing in the year 1960, and ended 1996, when owner Bud Adams moved the team to Tennessee to form Tennessee Oilers and then Tennessee Titans in 1999. 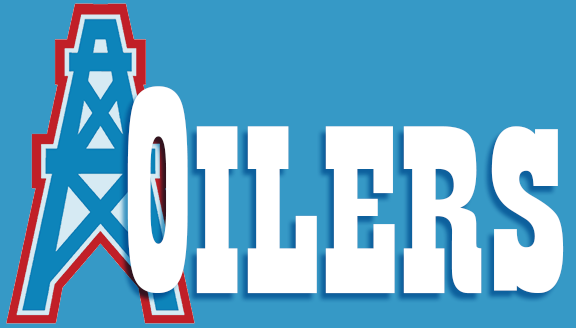 The Oilers were the first champions of the American Football League. It has won a total of 2 league championships, both of which are AFL Championships in the years 1960 and 1961. However, the Oilers have not won any other league championship, or conference championship, in 15 playoff appearances. The ’62 championship game against Dallas Texans brought them surprisingly close to the win, but in the longest championship game in the history of pro football, they were beaten. The Miami Dolphins are an American football team which is based in the Miami metropolitan area, and are the members of the East division of the American Football Conference in the National Football League. 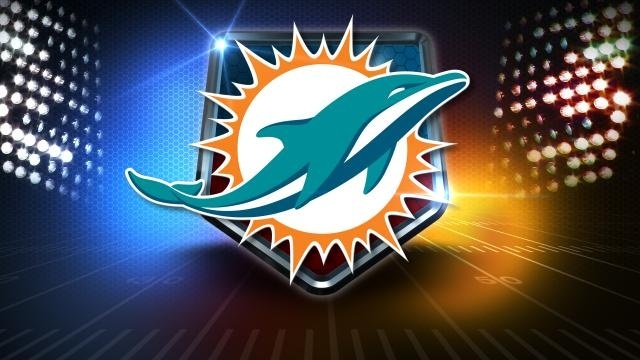 The team began playing in the year 1966, after being founded by Joe Robbie and Danny Thomas. In 1972, it became the first team to achieve the only perfect season of NFL, having won the Super Bowl, with all 14 of the regular season games, the Super Bowl VIII and the NFL playoff games. It has won 2 league championships, including 2 Super Bowl Championships in 1972 and 1973. It also has many other conference and division championships under its belt. 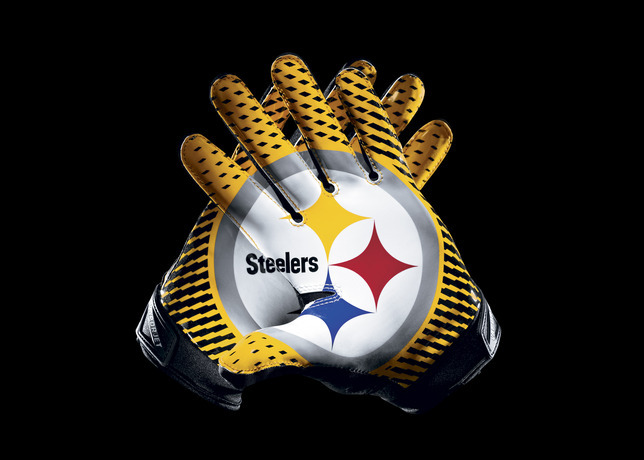 The Pittsburgh Steelers are an American football team which is based in Pittsburgh of Pennsylvania and are the members of the North division of the American Football Conference in the National Football League. The team was founded in the year 1933 as the Pittsburgh Pirates by Art Rooney and is the oldest professional football franchise in the AFC, as well as the holder of the highest number of AFC championships. It is one of the most successful NFL franchises, with the highest number of Super Bowl appearances and wins, and has hosted the highest number of conference championship games. It has won 6 league championships, all of which are Super Bowl championships, in the years 1974, 1975, 1978, 1979, 1995, 2005, 2008 and 2010. It also has also won several Conference and Division championships. The San Francisco 49ers are an American football team which is based in San Francisco Bay Area, and are the members of the West division of the National Football Conference in the National Football League. The team was founded in the year 1946 as a member of the All-America Football Conference by Tony Morabito, and became a part of the NFL in the year 1949. It is the oldest major professional sports team of California. It is one of the greatest NFL dynasties, with 5 Super Bowl wins within a span of just 14 years from 1981 to 1994. It has won 5 league championships, all of which are Super Bowl championships, in the years 1981, 1984, 1988, 1989, and 1994. It also has several conference and division championships under its belt, in 26 playoff appearances within 69 years ago. The Dallas Cowboys are an American football team which is headquartered in Valley Ranch in Irving of Texas, and are the members of the East division of the National Football Conference in the National Football League. The team was founded in the year 1960 by Clint Murchison Jr. They joined the NFL as a 1960 expansion team. It has the record for the highest number of Super Bowl appearances, which it shares with New England Patriots and Pittsburgh Steelers, as well as the record for the most NFC championships. It has won 5 league championships, all in Super Bowl Championships in the years 1971, 1977, 1992, 1993 and 1995. It also has also achieved victories in several Conference and Division championships. The New England Patriots are an American football team which is based in the Greater Boston Area, and are the members of the East Division of the American Football Conference in the National Football League. The team was founded by Billy Sullivan in the year 1959, and is an original member of the American Football League. 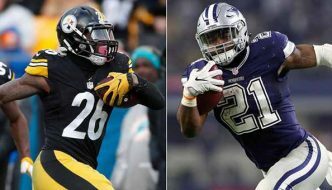 It has emerged as one of the most successful teams of the NFL history since the 2000s, and holds the record for the highest number of Super Bowl appearances. It has the longest winning streak in NFL, with a 21-game streak from 2003 to 2004. Its rivalry with New York Jets is considered one of the bitterest in NFL. It has won 4 league championships, all of which are Super Bowl Championships in the years 2001, 2003, 2004 and 2014. In 22 playoff appearances, it has won several Division and Conference championships. The New York Giants are an American football team which is based in the New York metropolitan area, and are the members of the East Division of the National Football Conference in the National Football League. The team was founded in the year 1925 by Tim Mara, and is one of the five teams to have joined the NFL in 1925, the only one among them to have still survived. It is also the longest-established team of the league in the Northeastern United States. It ranks third among all NFL franchises. The team’s rivalry with the Philadelphia Eagles is the oldest NFC East rivalries. It has won 8 league championships, including 4 NFL Championships in the years 1927, 1934, 1938 and 2007, as well as 4 Super Bowl Championships in 1986, 1990, 2007 and 2011. It also has several conference and division championships under its belt. Thus, with excellent performances, several championships and unending rivalries, these teams have established themselves in the history of professional football as invincible and recognized names. Each of these teams is a force to be reckoned with in its own rights, and is nothing short of a dynasty. While many of the teams are well past their days of glory, their names are still written in gold.